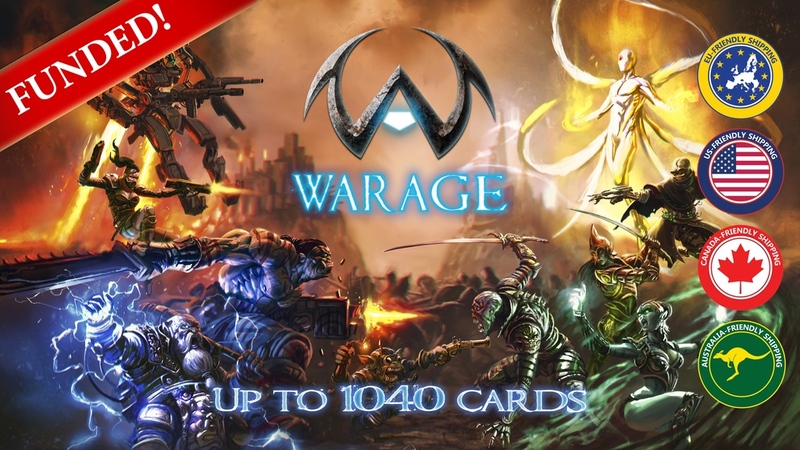 District Games is running a Kickstarter campaign for their new card game, Warage (not sure if that's "war age" or "wa rage"... I think I like "wa rage" You know, like "Waaagh! RAGE!!"). It's gotten quite a lot of interest, as it's already made it up and over their funding goal. So if you're in the market for a 2-6 player strategy card game, you might just want to check it out. In the game, you take on the role of a hero looking to battle against other heroes. To do so, you'll want to equip the best gear and arm yourself with the best weapons. But every choice you make comes at a price. You start out at 100 health, but it's not only the attacks of your opponents that can remove it. Just getting your new gear will cost you some HP. So you have to manage your resources wisely. Will taking that damage to equip that new sword pay out in the end? The choice is yours. As I mentioned, the campaign's already over their funding goal. So it's on to stretch goals for the next 28 days.